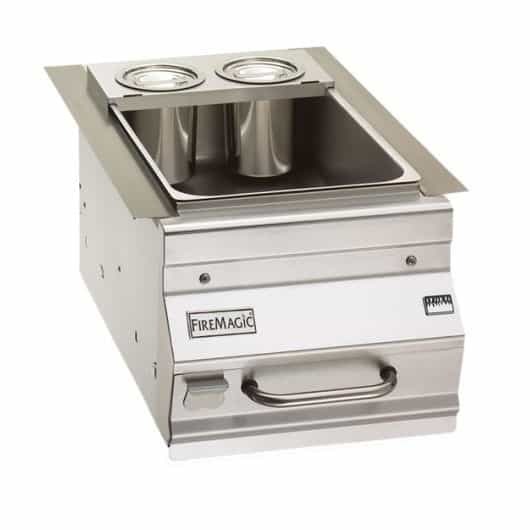 The Fire Magic Bar Caddy is a fantastic addition to any outdoor kitchen or grill island. It provides lots of function without taking up too much space. Fill it with ice and your favorite beverages; use the convenient drawer for storing up a garnish and an appetizer, or anything else you want to keep chilled. 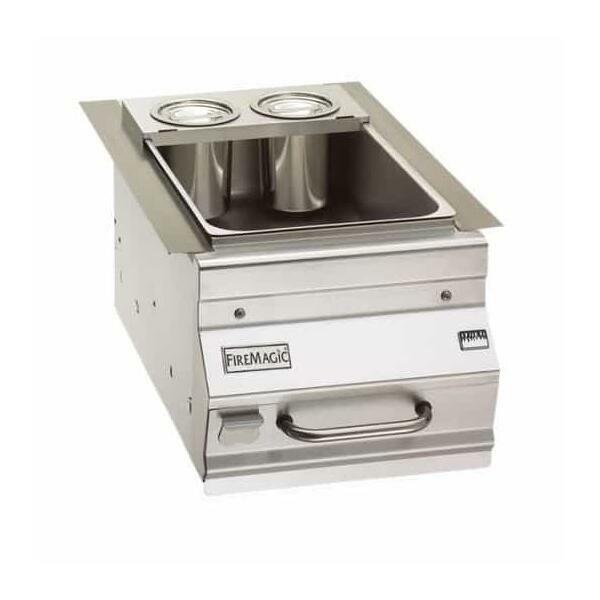 The Fire Magic Bar Caddy is constructed of commercial grade 304 stainless steel and comes with a handy stainless steel lid.